Have you been thinking about living in the Riviera Maya? The Riviera Maya offers many beachfront cities in Mexico as well as many lifestyle options – from upscale golfing communities to small laid back beachfront communities stretching from Playa del Carmen to Akumal to Tulum. So if you have ever dreamed of living in Playa del Carmen, Tulum, or Akumal here is a nice overview of each town. Once known as the Cancun-Tulum corridor, the district now called the Riviera Maya (or the Mayan Riviera) stretches along the Caribbean coastline of the state of Quintana Roo, located in the eastern section of the Yucatan Peninsula. Not only is the Riviera Maya one of the world’s most visited beach vacation destinations, it is also an extremely popular choice for expats who have made the decision and are living in Mexico. A combination of government investment and private sector development has contributed to the region’s prosperity and this is reflected in the modern, first-world level of amenities and infrastructure. Despite an influx of American tourists and expats, traditional culture holds fast with the food, music, arts and entertainment all having a distinct Mexican flavor. 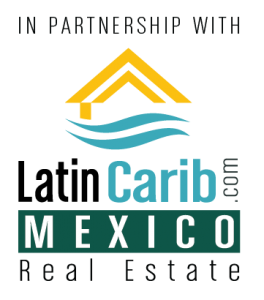 For those looking for a place to live in Mexico’s Riviera Maya there is something to suit all types of lifestyle choices and budgets. Here is a brief overview of 3 destinations and lifestyle options for living in the Riviera Maya, Mexico. 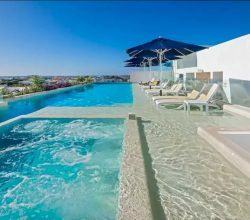 Playa del Carmen, once a small fishing town, has in recent years undergone rapid expansion and now boasts luxury residential condos, world-class shopping, excellent bars and restaurants and a wealth of entertainment and leisure facilities. Playa del Carmen has been the location setting for some television shows and has hosted PGA golf tournaments. Several Caribbean cruise lines include the city as one of their stops, bringing tens of thousands of tourists every year. The hub of the vibrant nightlife and tourist activity is located along a pedestrianized street, La Avenida Quinta (5th Avenue). The international crowd of expats and tourists who frequent this area of Play del Carmen give the district a cosmopolitan feel. Tulum has a tranquil vibe and seems to attract more expats from countries other than just the United States. 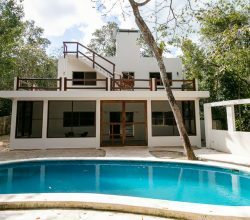 People from Canada, Europe, Australia and South America who are looking for a laid-back and healthy lifestyle have made their home in Tulum. Living in Tulum you wont have to look far to find yoga classes, juice bars, vegetarian and vegan restaurants and eco-resorts. The unspoiled beaches are an added spectacular bonus. Tourists come from far and wide to see the Maya ruins in Tulum that are considered to be one of the best-preserved archaeological sites in a coastal location. Not only are the ruins themselves fascinating, but they are situated in a place that has a picturesque view of the Caribbean. The large number of cenotes in the area is yet another reason tourists are drawn to Tulum. These water filled sinkholes are beautiful to look at and wonderful to swim in. Tulum may not remain a small town for much longer. The number of people living in Tulum is growing rapidly. The 2010 census recorded the population at just over 18,000, but recent estimates indicate that the town has grown to over 30,000. 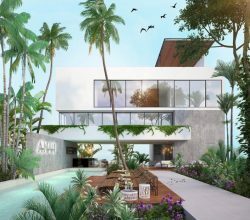 The Mexican government has plans to establish and develop some of the medium sized towns along the Riviera Maya with Tulum being included as one of the targets for expanded urbanization. Situated about half-way between Playa del Carmen and Tulum is the small town of Akumal, which in the Mayan language means “land of turtles” and still today, these marine animals return to this part of the coastline to spawn. Akumal is considered to be one of the best places to live in the Mexican Caribbean with a spectacular bay, underground rivers and a variety of beautiful beaches on offer to the expats living in Tulum as well as to the tourist crowd. 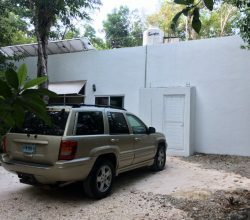 Although there are a large number of vacation rentals in Akumal, the town is one of the least commercialized districts along the Riviera Maya. It is a place to get away from the hustle and bustle of the bigger cities and tourist areas. Like Tulum, Akumal is part of the government plan to invest in the development of urbanization. Currently there are only several hundred expats living in Akumal. Which Riviera Maya Lifestyle is Right For You? 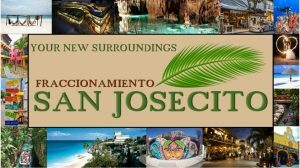 If you are interested in living in the Riviera Maya we have given you a very brief overview of three different towns and cities along the Riviera Maya. Although they all have their own unique, distinct flavor they all have a number of things in common. They all enjoy an all year-round tropical climate and crystal clear Caribbean waters that lap on to white sandy beaches. 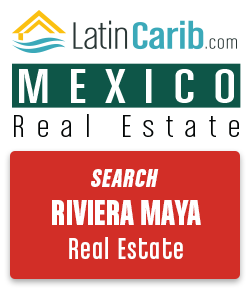 The Riviera Maya real estate market is booming with houses, condos, and apartments at affordable prices. This means living in the Riviera Maya means that expats can live on or near the beach and enjoy a lifestyle that suits them well. Why not find out more about which Riviera Maya lifestyle is the right one for you? Is it living in Playa del Carmen? Or dow you want to live in Tulum, Akumal, or anywhere in between? And we offer living, working, investing, and retiring services for all of Mexico. 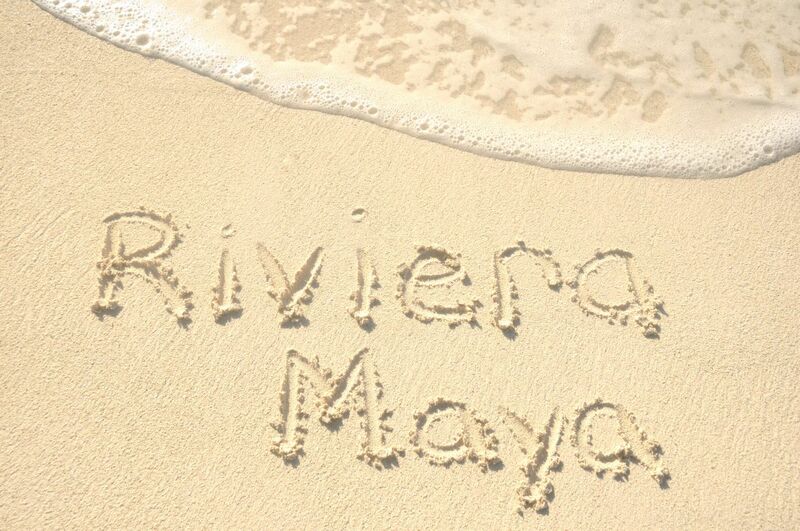 We are Riviera Maya real estate specialists. 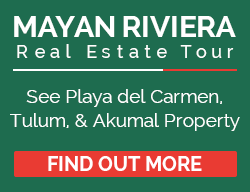 Please contact us below for more information on Riviera Maya real estate in Playa, Akumal, Tulum, or other Mexico property markets.